If you been following me on social media. - If you haven’t, why not? My social media links are at the bottom of the page. If you have you would see behind the scenes shots of my headshot and branding sessions. You may have noticed a pc or iPad screen next to my camera. 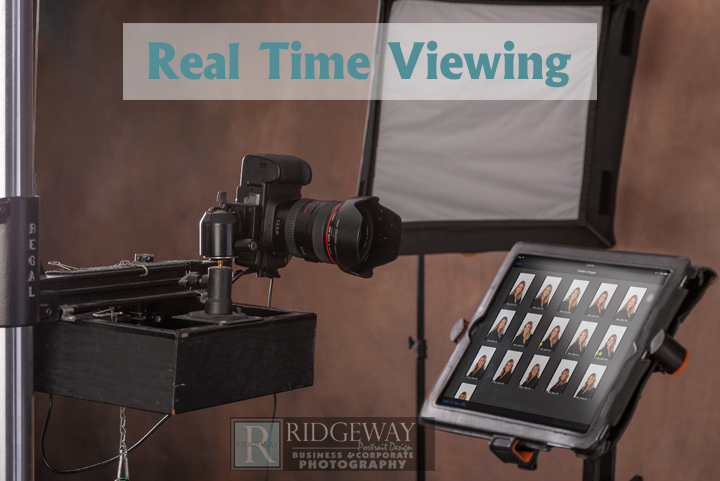 I thought I’d do a post about shooting my sessions with real-time viewing. Let me explain what shooting with real-time viewing means for every person who steps in front of my camera. What real-time viewing means is that I can photograph my sessions with my camera synced up to my iPad. What does this mean for you? It means that right after I click the shutter, the image shows up on my iPad screen. 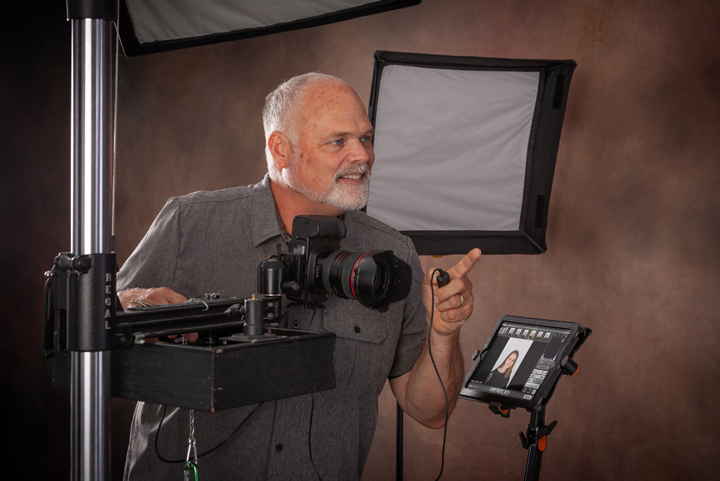 This give us instant feedback during a headshot session to know what’s working and what’s not. It’s a great tool that I use to coach people, so they can be assured that they are getting that right shot. I have people move in ways that don’t always feel natural. This way during a session people can see what a little tip of the head or lean can make in having that perfect headshot. Those of you who have been in the studio will recognize phrases like “forehead forward, chin down, turn and tip” and know what I am talking about. You will be Confident that you have a Great Headshot. Once I show a client the screen, they can see what those slight movements and awkward turns look like on camera, the rest of the session is a snap! I also review your images with you as we are going along. We will shoot an outfit, then check the screen to make sure that we have everything that you want and need before we move on to the next outfit. There is no wondering if you have what you need. 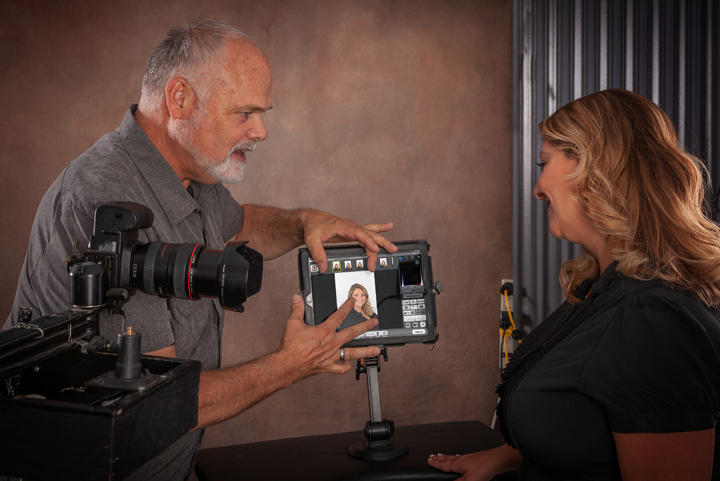 With my real-time viewing of your headshot session, you will have already seen your amazing images and picked what you need before you walk out my door. You leave my studio, relived and confident that you have what you wanted. There’s one other advantage to shooting with real-time viewing. It is vital – during a session that you can see your makeup and clothing to see what is working. We can watch the screen the entire shoot and adjust as needed once we see how the makeup and clothing looks in the photos.